Ergo...my musings by Vivian: Taking Risks & Reaping Rewards! Taking Risks & Reaping Rewards! Last weekend my husband and I enjoyed a relatively spontaneous weekend in Charlottesville, Virginia. I decided we needed to do something special to celebrate his birthday. So I booked a room at a wonderful Bed & Breakfast, The Silver Thatch Inn, and planned a getaway with visiting wineries on the Monticello Wine Trail and perusing antique stores. Over the weekend we met some wonderful people who took huge risks, changed their lives and found happiness. Their stories are not only heartwarming, they also give testament that following one’s heart and taking a leap of faith can result in positive changes, peace, contentment and sheer happiness. 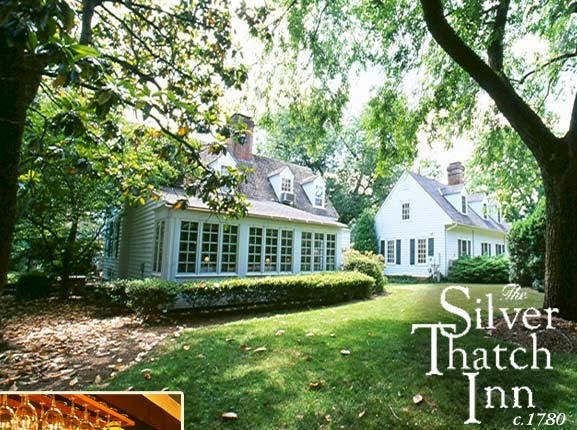 Our innkeepers at Silver Thatch, a charming, welcoming, well appointed Bed & Breakfast, Jim and Terri Petrovits, took such a leap when they purchased the inn. Jim & Terri were both living in California when they met in culinary school. Jim, originally from Connecticut, practiced law for 30 years. Terri was born in Jacksonville, Florida and moved to California in her teens. They had both been married before. He wanted to leave California. She did not want to move to Connecticut. When they decided to look for a Bed & Breakfast to buy and satisfy both of their geographical preferences, they searched the Internet for opportunities in Virginia. The last place they saw, The Silver Thatch Inn, was the place! It needed work. There were an abundance of challenges. But they are both happy. They create a welcoming environment for their guests, serve creatively delicious breakfasts (which encouraged me to make my own granola), and made us feel as if we were in a home away from home. 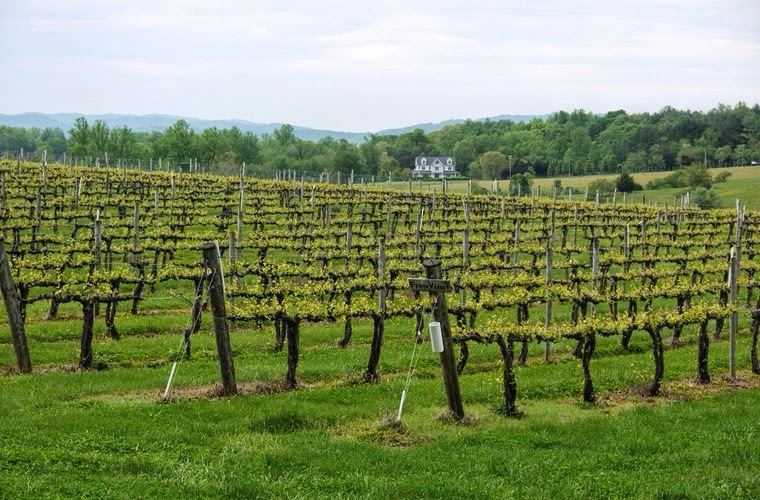 While following our passion for exploring Virginia wineries, we met a woman who had made the decision to leave Michigan where her school librarian job was being eliminated because of funding issues. Her husband, a car salesman, knew he could work anywhere. So he told her that if she could find a job in another place that appealed to them both, they would sell their home and move the family. She found the perfect opportunity in Charlottesville. They had no ties to Virginia, but took a chance. She discovered a love of wine and found a weekend passion working at a local winery. He has the chance to go fishing in the pond at the winery across from their house. Their kids love the schools. She loves her job. They took a chance and are thriving. Then on Sunday afternoon, while I was returning an online purchase to my local Talbots, I met a delightful woman of 92. I heard her in the next dressing room commenting that she had ugly legs and couldn’t wear skirts. I popped out and said that her legs had served her well, were certainly not ugly, and that could still rock a skirt. That is when she told me she was 92 and had married her high school sweetheart when they met again at their 65th reunion. He had lost his wife after 61 years of marriage. She had lost her husband after 54 years of marriage. But they decided to give it a go again and commuted between their two cities. What optimism! What a leap of faith they both made to chance love and marriage again and to rekindle a long lost love. There is a lesson for us all. Really – Fall Catalogs in June! Under Educated But NOT Un-resourceful!